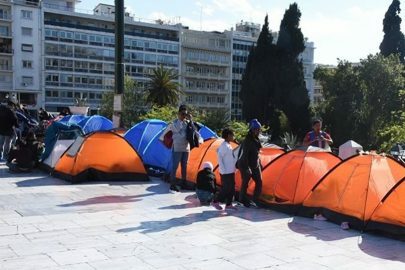 It may not be the first time we see the phenomenon of African dust covering great distances to the north reaching Greece, but this time it has an unprecedented intensity! 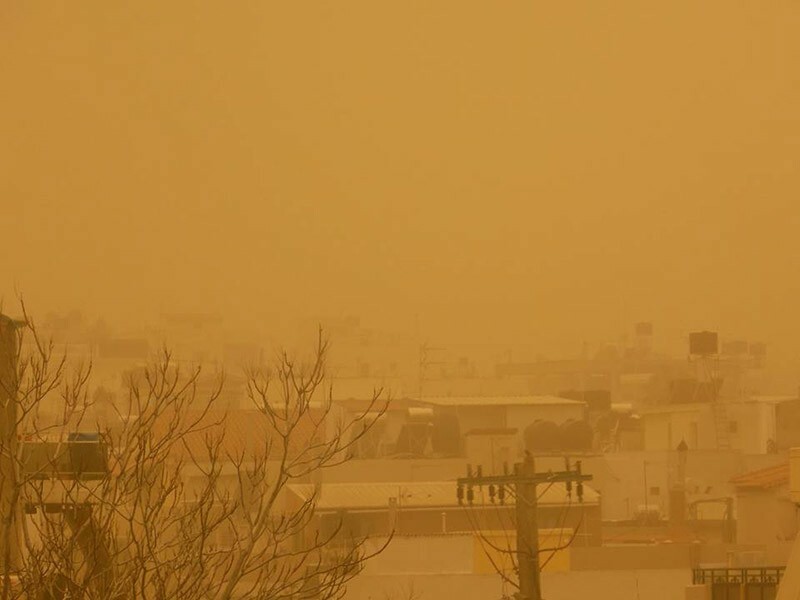 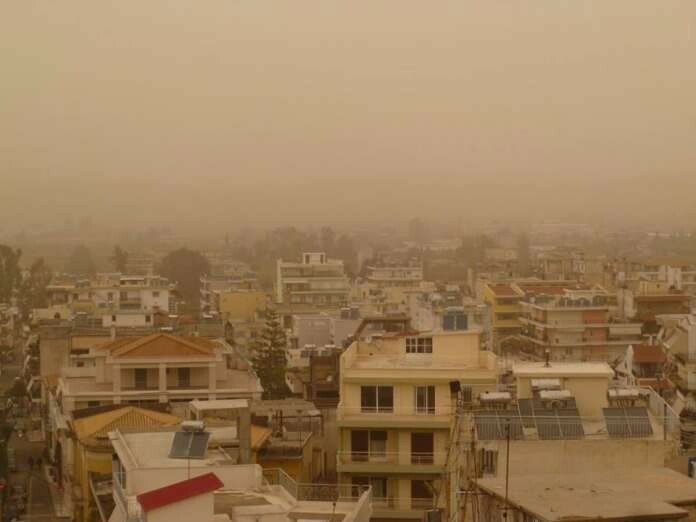 The pictures that come from the prefectures of Ilia and Crete are unbelievable, with the African dust literally covering many areas. 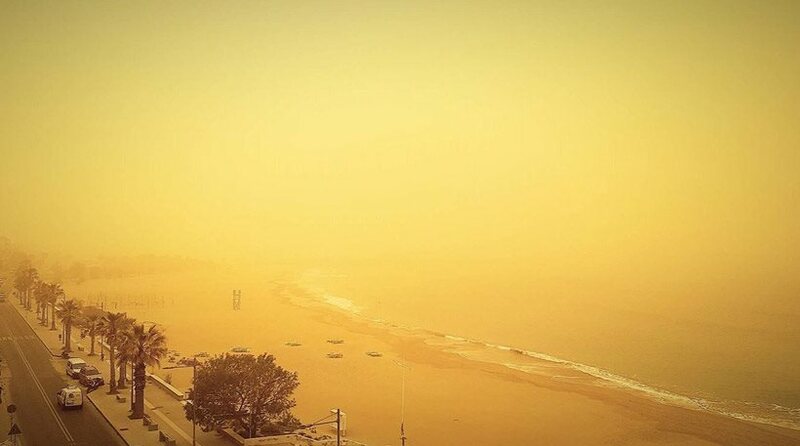 At Ilia, the dust level results in a greatly reduced visibility, as shown by the photos taken at Katakolo on Thursday afternoon. 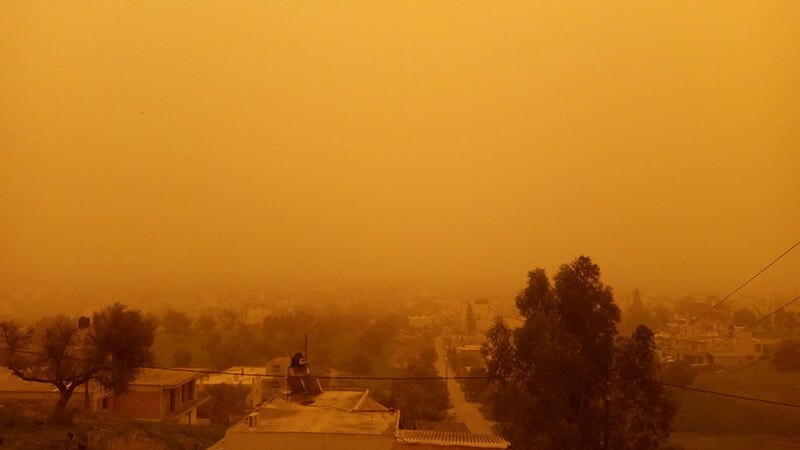 The scenery in Crete is similar as in the last few hours Cretans face an African landscape with visibility in many areas being not just limited but being practically zero! 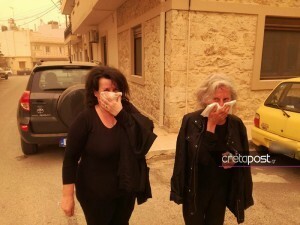 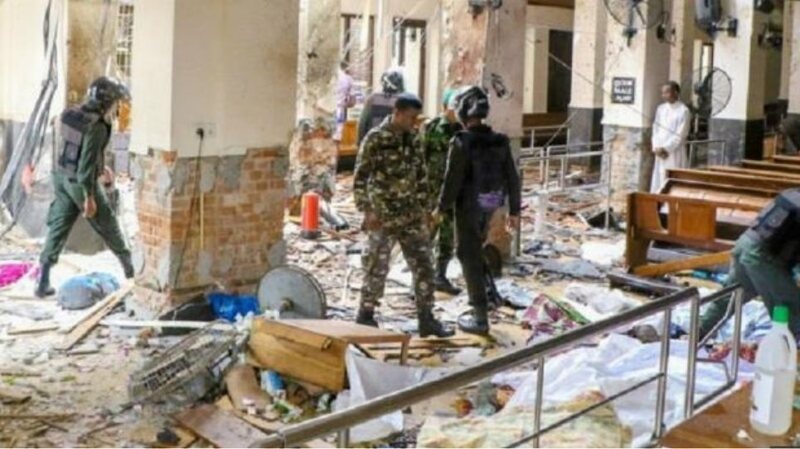 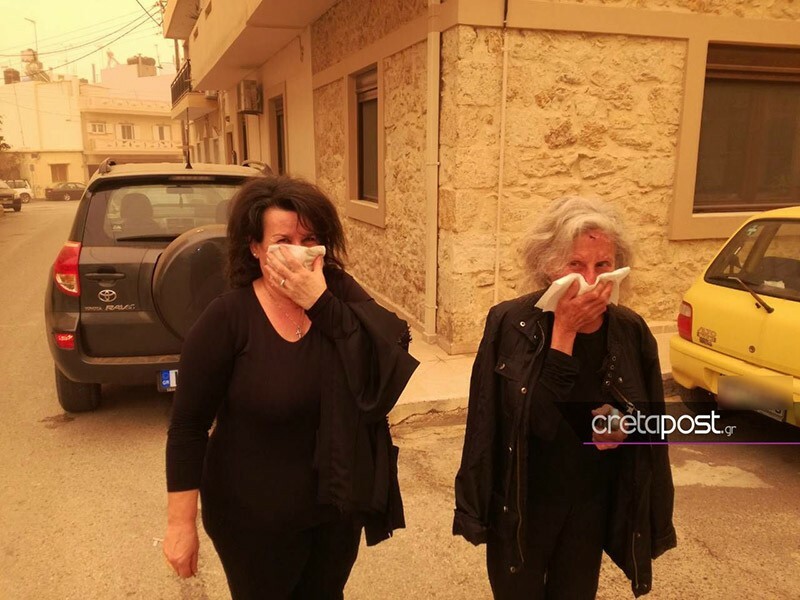 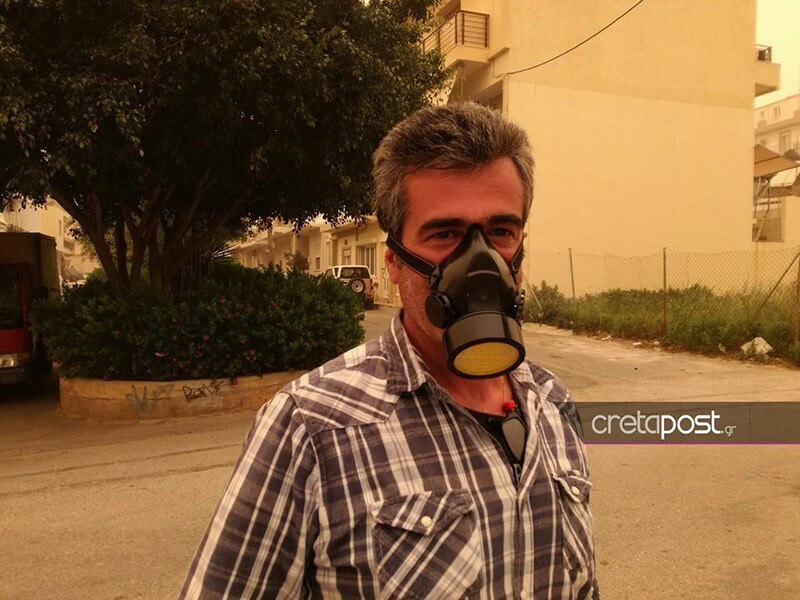 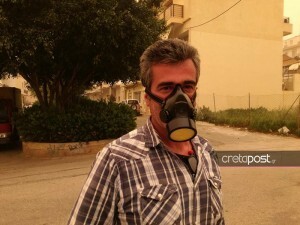 Residents do not dare leave their homes, while quite a few wear gas masks to protect themselves from the dust.